Discussion in 'Omega Ruby and Alpha Sapphire' started by May, Sep 11, 2014. 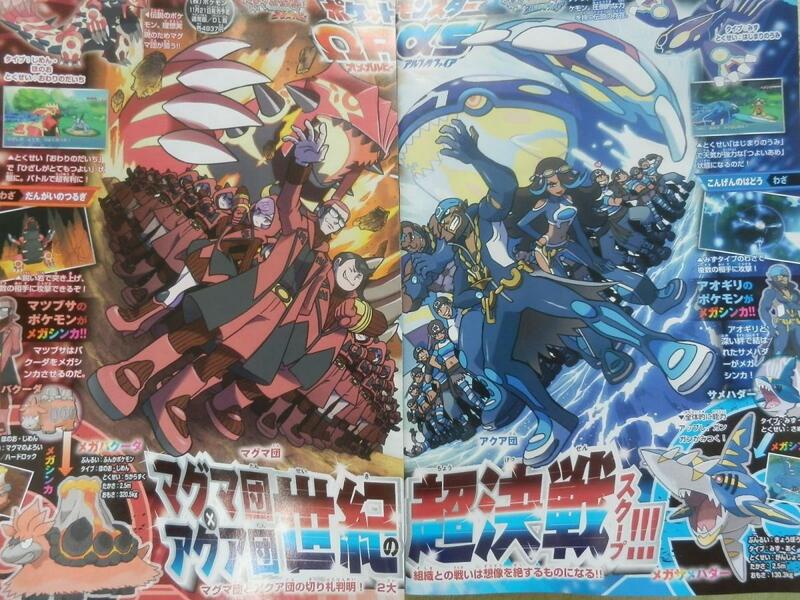 In this issue of CoroCoro there's some new Mega Evolutions! 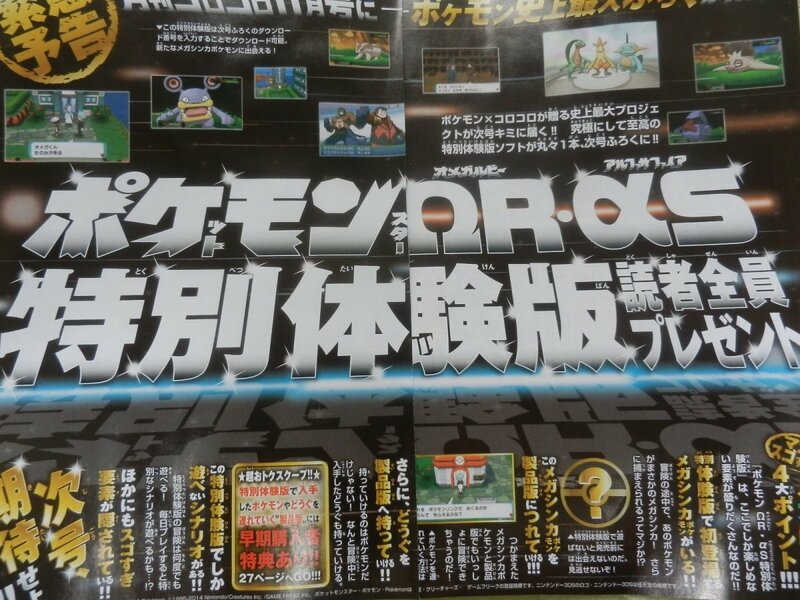 Mega Gallade, Mega Sharpedo & Mega Camerupt are confirmed! 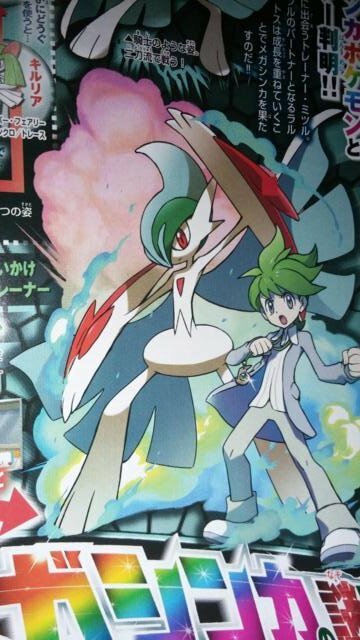 - Mega Gallade along with Wally. 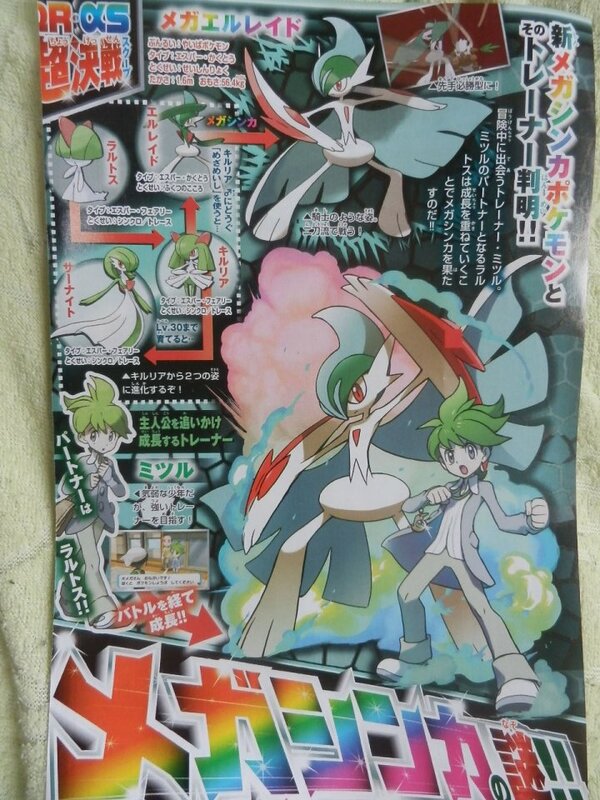 Mega Gallade is still a Psychic/Fighting type, and has the ability Inner Focus. 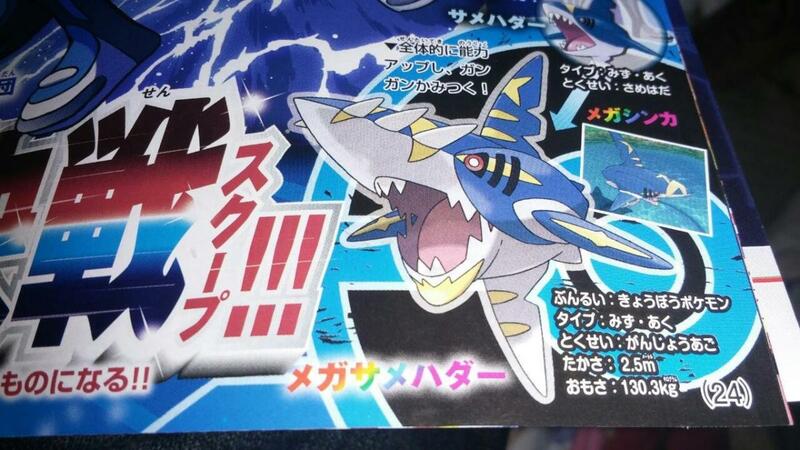 - Mega Sharpedo: has the ability Strong Jaw and is still a Water/Dark type. All its stats get boosted. 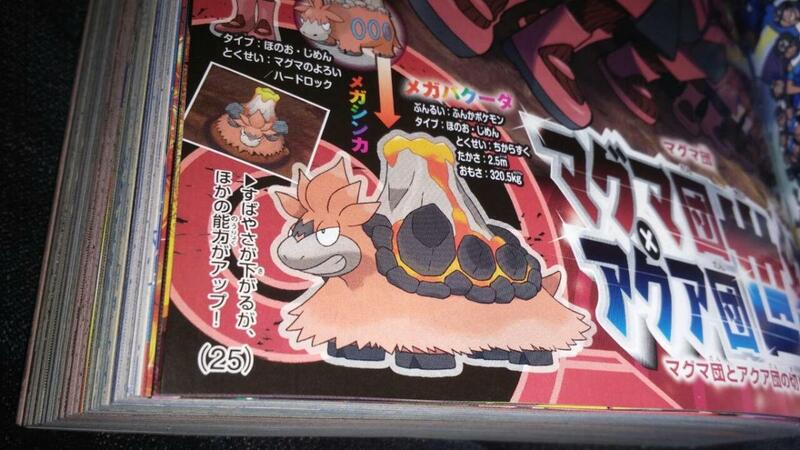 - Mega Camerupt: has the ability Sheer Force and it is still a Fire/Ground type. All of its stats increase except Speed, which is lowered. 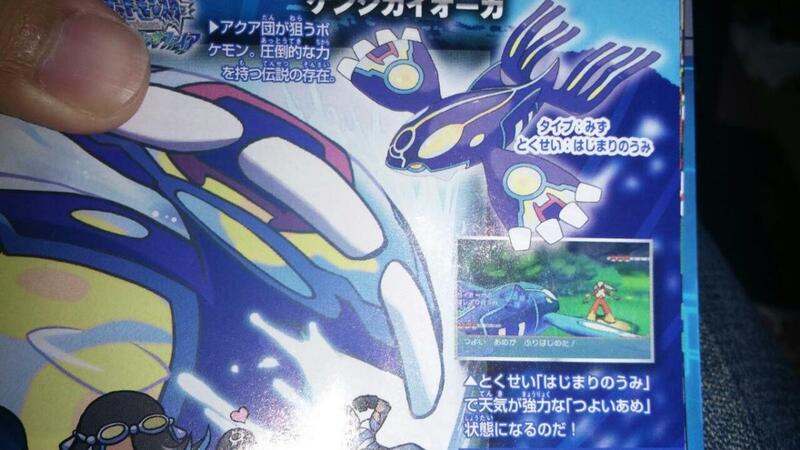 - Primal Kyogre has a new ability called Sea of Beginnings which brings a "strong rain". It has a new move called "Origin Wave" (it will hits multiple targets). 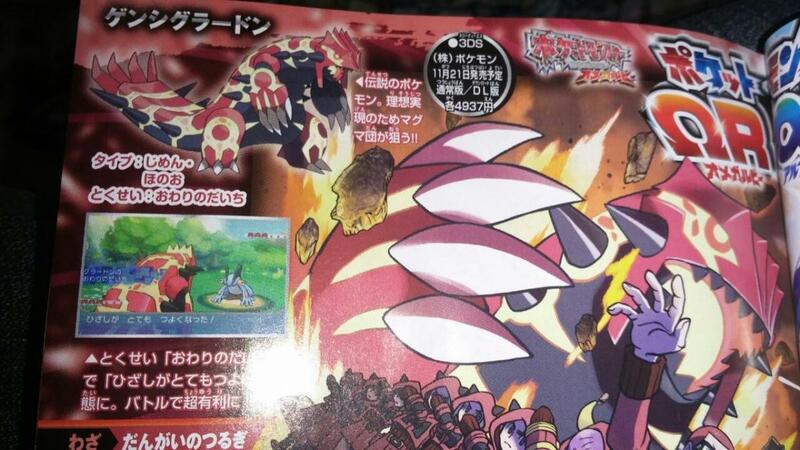 - Primal Groudon has a new ability called Land of Endings which brings a "strong sunlight". It has a new move called "Cliff Sword" (it will hits multiple targets). 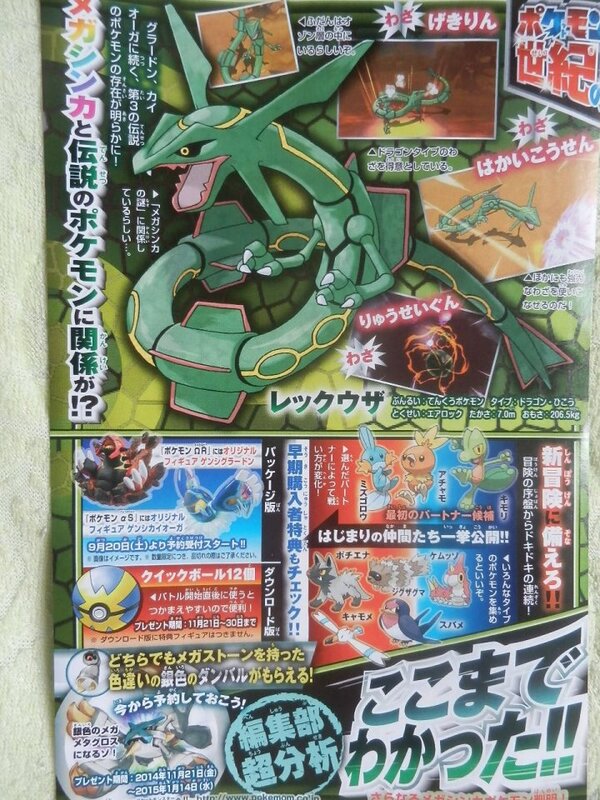 Rayquaza will have a Mega Evolution and is connected to the mystery of the Mega Evolution. A demo of the two games will be available next month. In the demo there will be a never seen before Mega Evolution and you can trasnfer it (and the items you will find) later to the main game when it will be released. If you play the demo every day something special will happen.